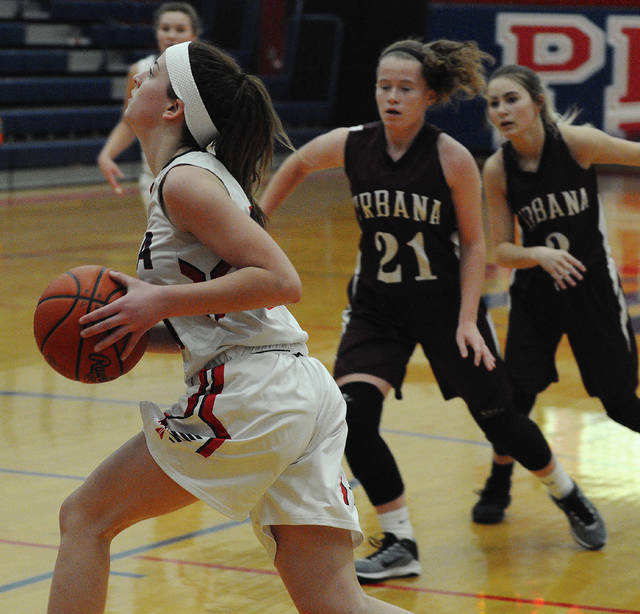 Rob Kiser|Call Photo Piqua’s Chloe Stewart goes airborne to make a pass as Urbana’s Alaina Lyons closes in. 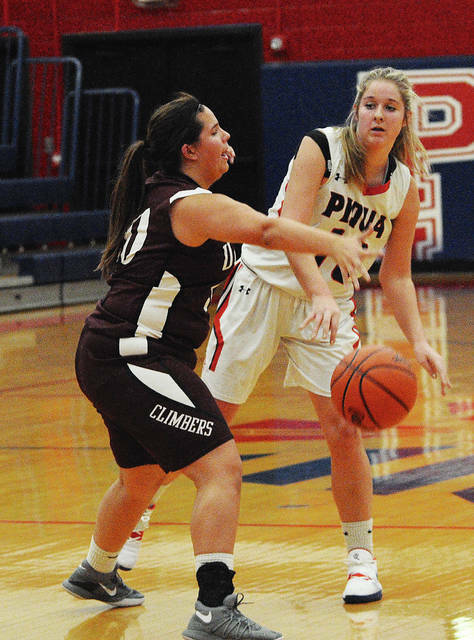 Rob Kiser|Call Photo Piqua’s Aubree Schrubb pulls in a rebound against Urbana’s Shelby Stoops. 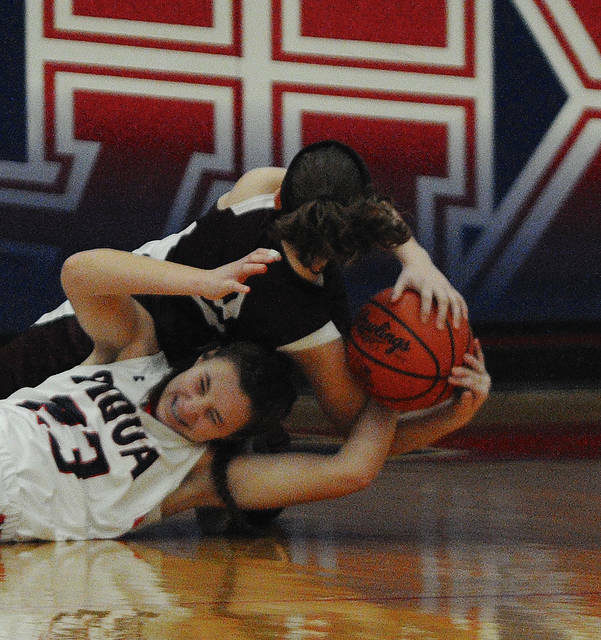 Rob Kiser|Call Photo Piqua’s Kelsey Bachman pushed the ball down the floor asUrbana’s Marissa Horn trails the play. It may have not been a work of art. 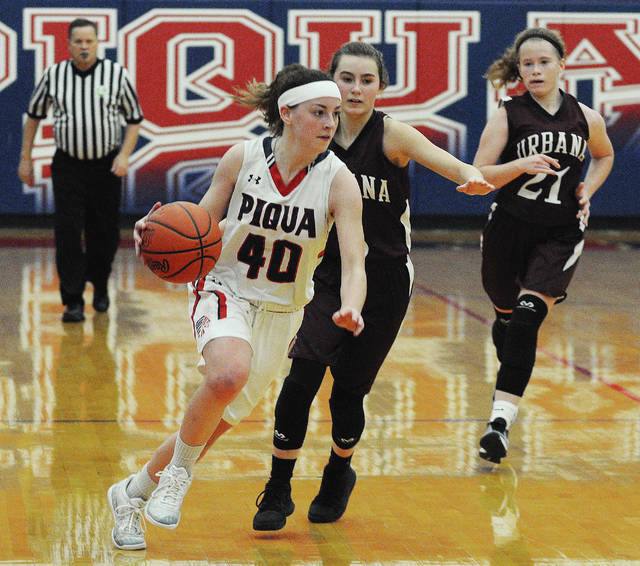 But, the Piqua girls basketball team did what it needed to do in a 53-40 win over Urbana Monday in non-conference action at Garbry Gymnasium. 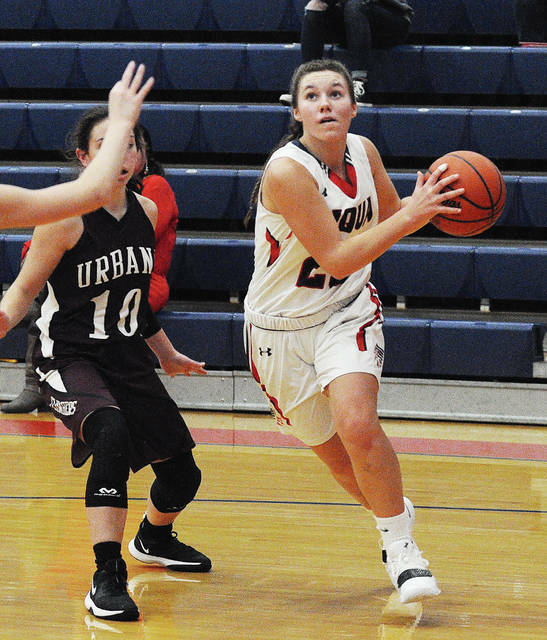 The Lady Indians improved to 3-1, while Urbana dropped to 0-3. 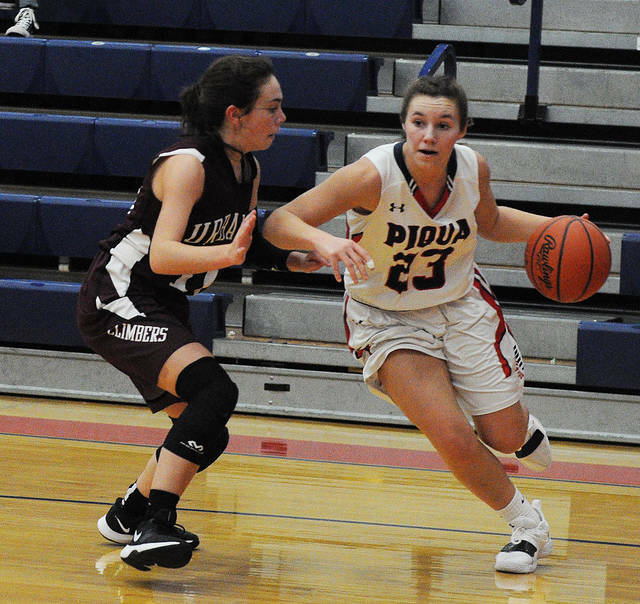 It was a close game for much of the first half, before Piqua surged to a 32-25 lead at the break. The Indians led 12-11 after one quarter. 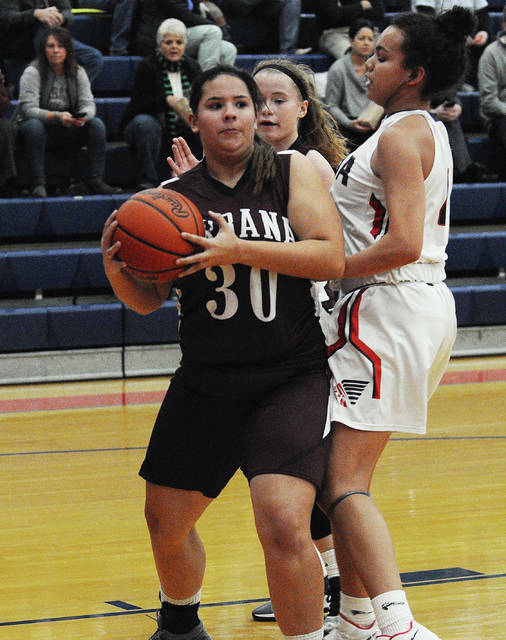 But, a three by Alaina Lyons actually gave Urbana a 14-12 lead early in the second quarter. 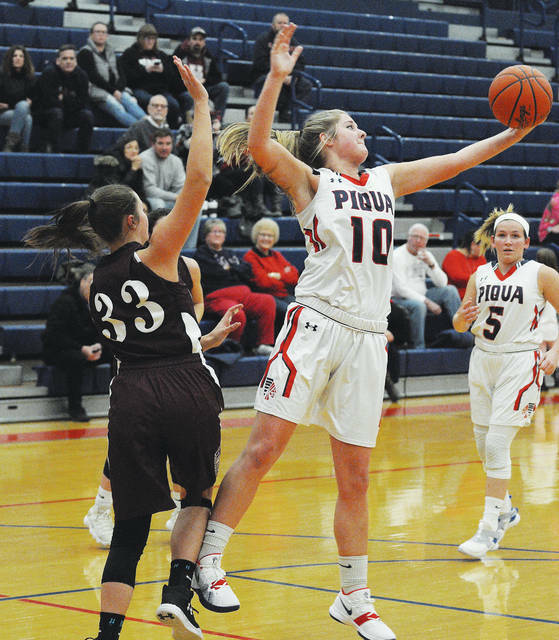 Piqua answered with eight straight points. Andrea Marrs scored off a Kelsey Bachman assist to tie it. Bachman hit a jumper and Aubree Schrubb and Kelsey Johns both scored on putbacks to make it 20-14. 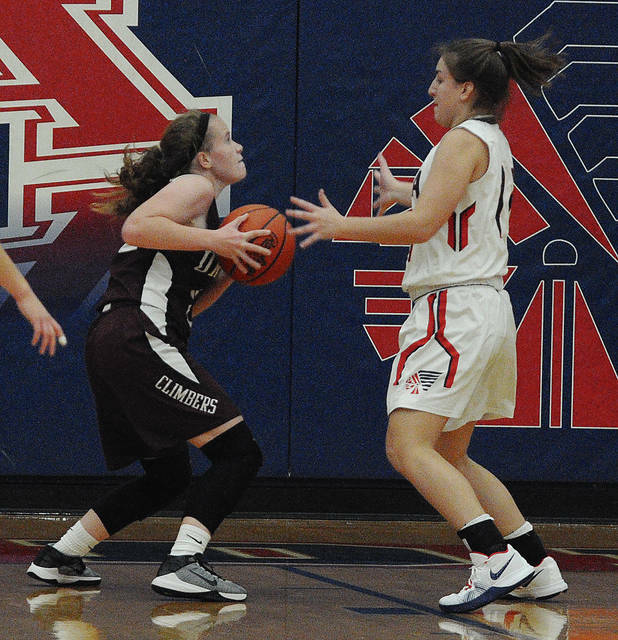 But, Urbana had baskets by Lyons, Maleah Murphy and Marah Donahoe to get back within 21-20. 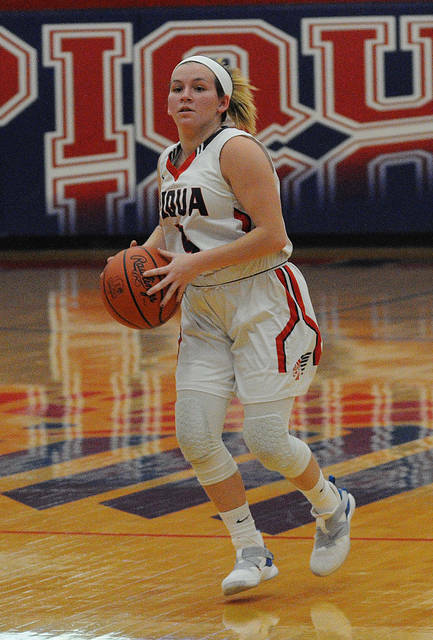 Piqua finished the half on a 9-3 run to open the 32-25 halftime lead. 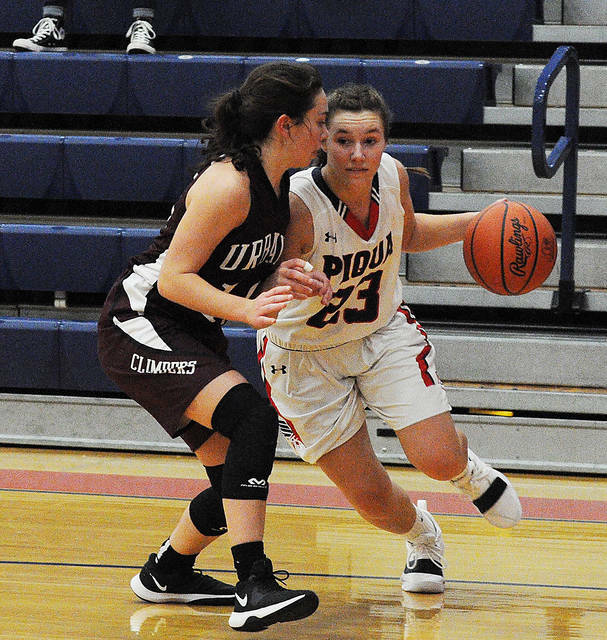 Marrs had six points in the quarter for Piqua, while Lyons had eight for Urbana. 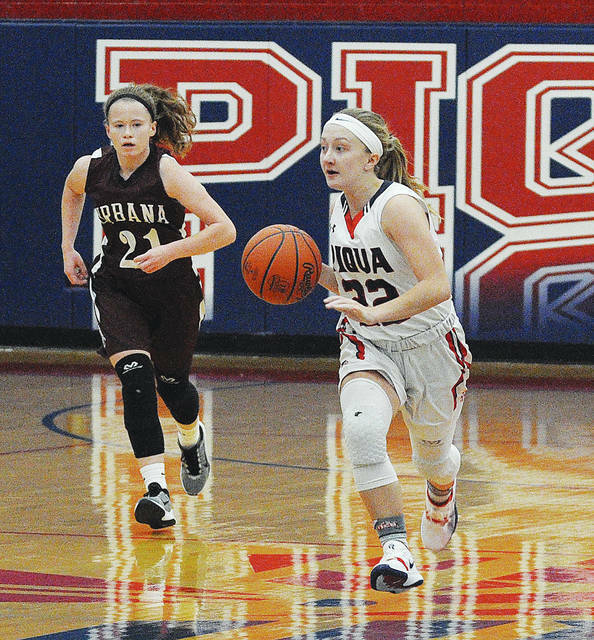 Piqua opened the lead to double digits early in the second half and Urbana could never get closer than eight. 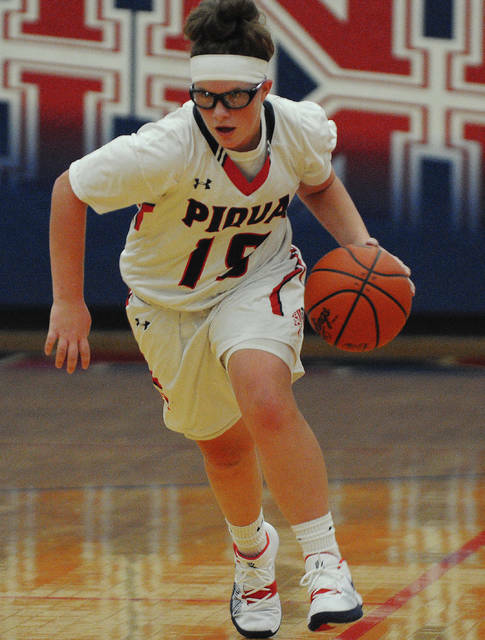 Aubree Schrubb led Piqua with 14 points. 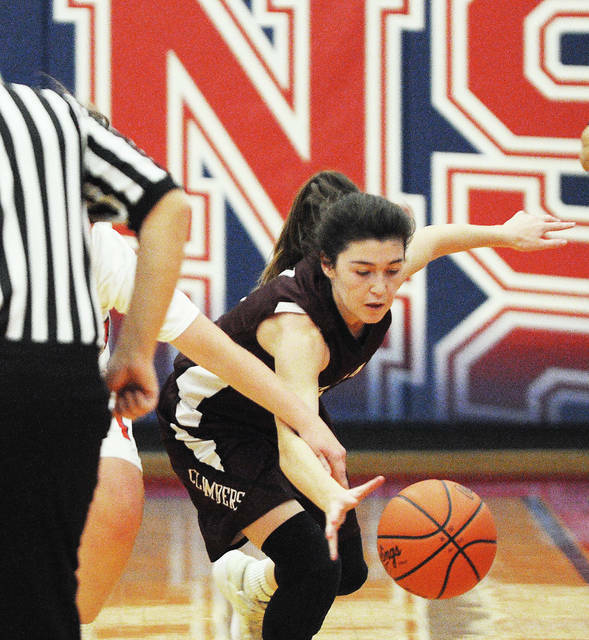 Kenzi Anderson added nine and Marrs came off the bench to score eight. 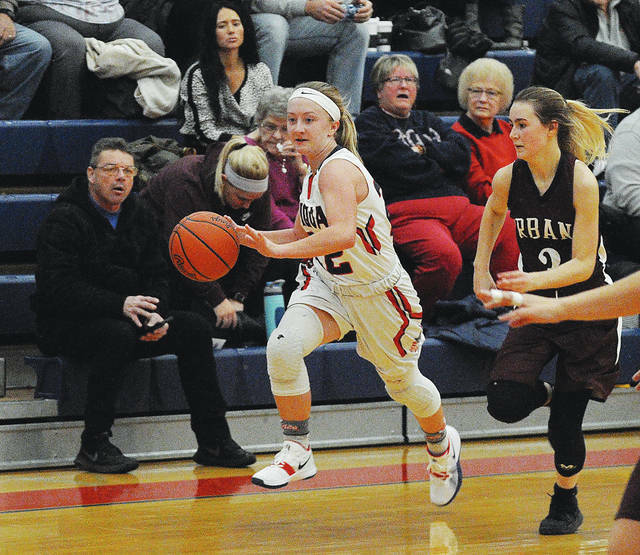 Lyons paced Urbana with 12 and Donahoe added eight. 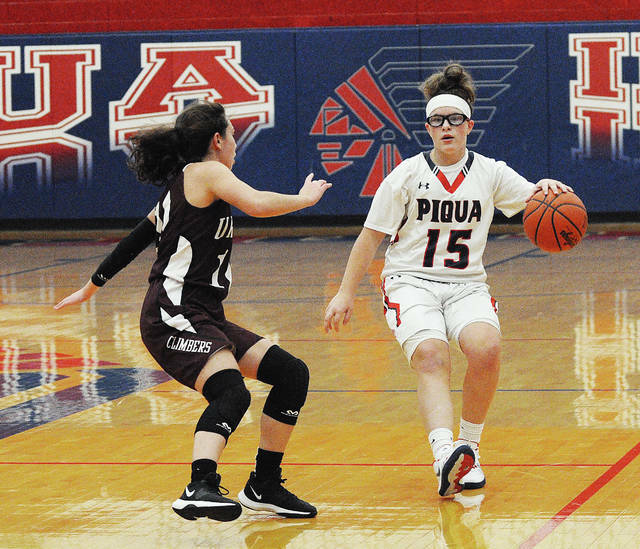 Piqua will host Tippecanoe in GWOC North action Wednesday. “We are going to need a much better effort then we had tonight,” Dolph said. But, he is not going to complain too much about a win. 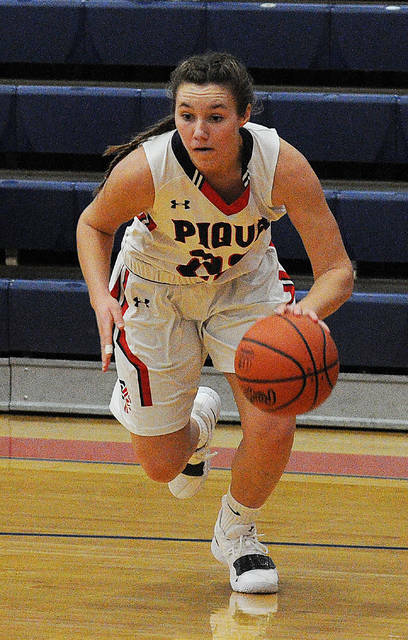 Alaina Lyons 5-0-12, Marah Donahoe 4-0-8, Marissa Horn 2-2-7, Samantha Rooney 0-0-0, Shelly Stoops 2-0-4, Maleah Murphy 1-0-2, Makenna Radford 0-0-0, Kacie Martin 0-3-3, Claire Shelpman 2-0-4. Totals: 16-5-40. Tylah Yeomans 1-3-5, Izzy Kidwell 1-0-2, Aubree Schrubb 6-2-14, Kelsey Bachman 1-0-2, Kenzi Anderson 2-5-9, Chloe Stewart 2-2-6, Hailey McPherson 0-2-2, Karley Johns 2-0-4, Andrea Marrs 4-0-8, Reagan Toopes 0-0-0, Skylar Sloan 0-1-1, Kathy Young 0-0-0. Totals: 19-15-53. 3-point field goals — Urbana: Lyons (2), Horn. 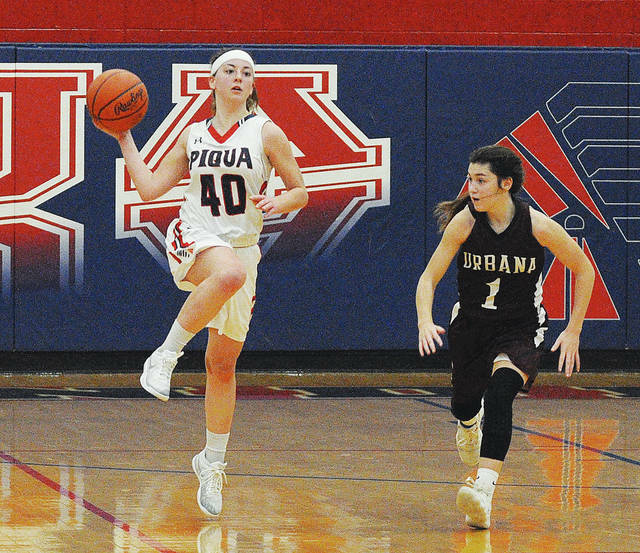 Records: Urbana 0-3, Piqua 3-1.
https://www.dailycall.com/wp-content/uploads/sites/30/2018/12/web1_chloe4-1.jpgRob Kiser|Call Photo Piqua’s Chloe Stewart goes airborne to make a pass as Urbana’s Alaina Lyons closes in. 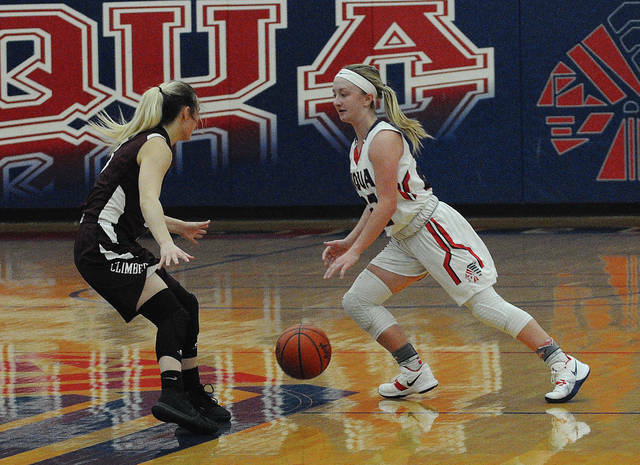 https://www.dailycall.com/wp-content/uploads/sites/30/2018/12/web1_aubree-1.jpgRob Kiser|Call Photo Piqua’s Aubree Schrubb pulls in a rebound against Urbana’s Shelby Stoops. 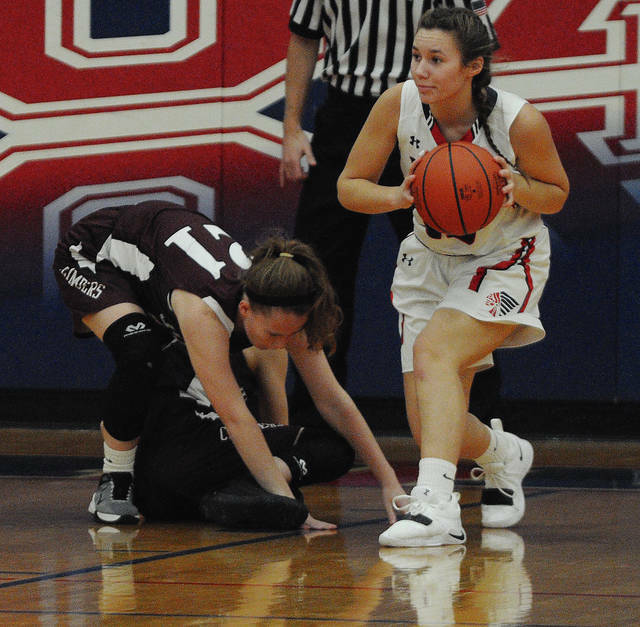 https://www.dailycall.com/wp-content/uploads/sites/30/2018/12/web1_kelsey-1.jpgRob Kiser|Call Photo Piqua’s Kelsey Bachman pushed the ball down the floor asUrbana’s Marissa Horn trails the play.